After a brutal 1-5 start to conference play, the Tigers have suddenly strung together three straight wins - all three of which being by double-digits. Sure, those wins were against the bottom feeders of the ACC this season (Wake Forest, Pittsburgh, Georgia Tech), but how Clemson won those games was more telling. 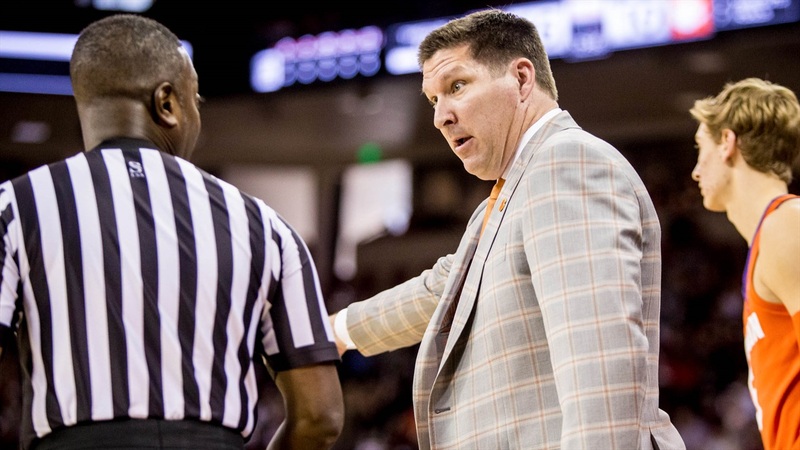 Two weeks ago, head coach Brad Brownell said his team was still searching for an identity. After three consecutive games where defense has been dominant and Elijah Thomas has come into his own on both sides of the floor, Clemson may have found it. Everything has led up to this game, with No. 11 Virginia Tech coming to town. With the momentum gained with the results of the last three games, Clemson has a chance to set itself up in a good position if it can get a victory over the Hokies. Virginia Tech will most likely be without starting point guard Justin Robinson, one of the Hokies’ best players. Robinson is out indefinitely with an unspecified foot injury suffered in Virginia Tech’s win over N.C. State. Before the injury, Robinson averaged 14.4 points, 5.5 assists, 3.4 rebounds, and 1.7 steals per game. He had just recently broke Virginia Tech’s assist record in a 30-point, 8-assist performance against Syracuse. Even though Robinson may not be able to play, Brownell is preparing like the guard will ge in the starting lineup. Clemson will still have its hands full having to go up against Virginia Tech leading scorer Nickeil Alexander-Walker, who is currently averaging 17.5 points per game. Ahmed Hill and Jerry Blackshear Jr. also each average just over 13 points per game. The Hokies are ranked No. 3 in the country in three-point shooting and are No. 9 in the country field goal percentage. Clemson’s defense has performed at a higher level lately, but an entirely different challenge is right around the corner. Recently, Virginia Tech won one of the more low-scoring games that we’ve seen this season by beating N.C. State by just scoring 47 points to the Wolfpacks 24. So even though the Hokies have been able to have massive success on offense, there still has to be plenty of optimism for Brownell’s crew to slow them down. Especially after only giving up 42 points to Georgia Tech and 37 points to Wake Forest in wins, the lowest in back-to-back ACC games in program history. Clemson is going to need all the energy and intensity it can muster up. Because this a game that could almost shape how the rest of Clemson’s season will go. All of Clemson’s positive momentum has led up to this game.